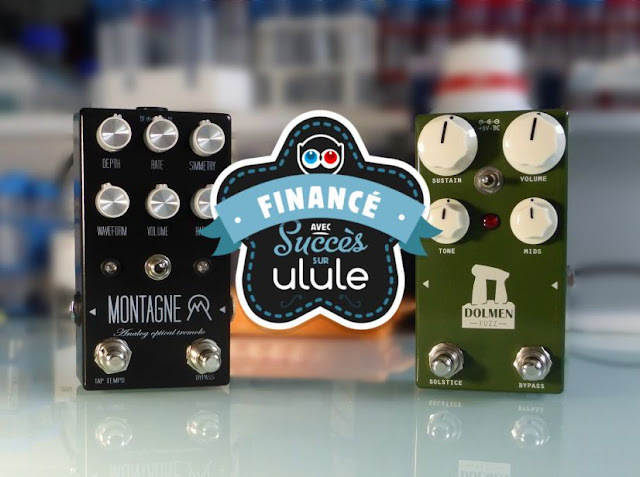 My crowdfunding campaign for the Montagne Tremolo and the Dolmen Fuzz is finally out there! The Montagne Tremolo is my final version of the tremolo prototype I showed you in a previous post. It is an analog optical tremolo with tap tempo and 6 different waveforms available, thanks to the TAPLFO digital chip. 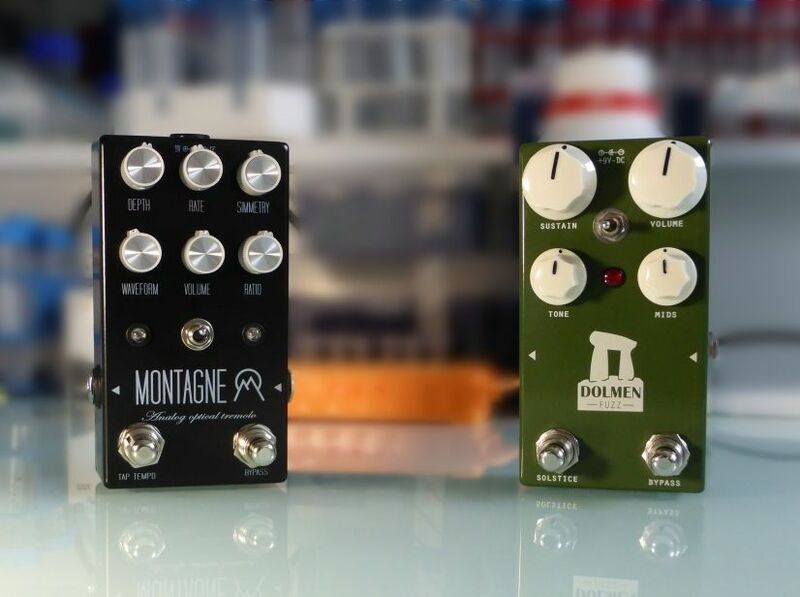 The Dolmen Fuzz comes from my love for EHX Big Muffs and especially the green russian version. I tried different prototypes and circuits, and it is quite close to a previous build I made as well. Create your own pedal company: good or bad idea? If you already have made a few pedals yourself, you surely have thought about selling them or at least build some of them for other people. Create your own guitar pedal brand seems like a good idea on paper, however there are many pitfalls.... 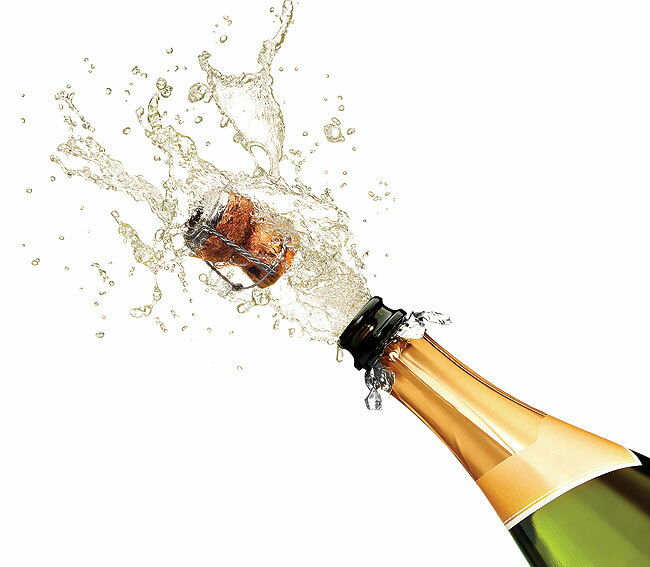 Lets talk about it! It is a complex matter that is not always easy to discuss peacefully because of money, and there are many different opinions on the subject. It is also the source of really long yet exciting threads on DIY forums (check this one!). The simplest option for me is to discuss it from my point of view as a builder. Thus, I will talk about Coda Effects, and well, just once will not hurt, about me, and give you some tips if you want to jump in it! 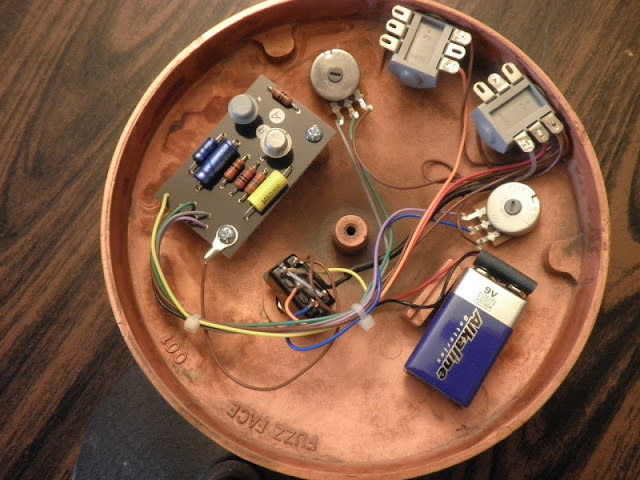 Early 2013, I started to show interest in guitar pedal building: after opening a Fuzz Face, I was quite astonished by the simplicity of the circuit (there is almost nothing in there! ), and I realized that building guitar effects might be simpler that I thought. The Big Muff PCB that I conceived finally arrived in its final version... And it is alive! I also wrote a detailed build document. 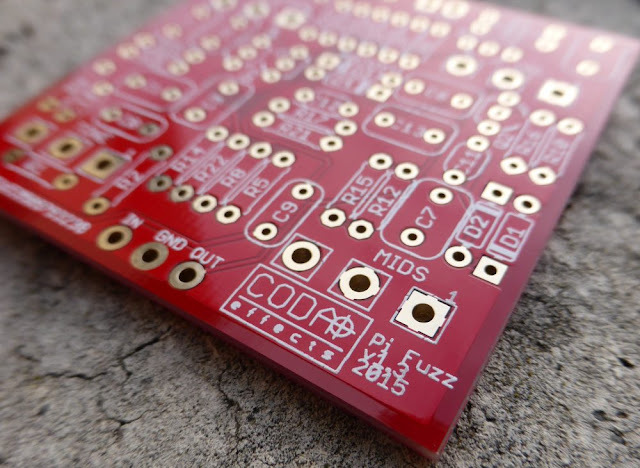 It is a double layer PCB to make your own Big Muff! I added a fourth optional knob: the mids knob. Mids are a huge turn off for me with Big Muff: all your medium frequencies are scooped! When you use one in a band, you always disappear in the mix, quite boring when you want to use the loudness and sustain of a Muff and be heard! I made it optional in case you want to stick to the original design. Thus, you can make any Big Muff variant that you want, including "boutique" variants that often use a mids knob! I made it usable for a 1590B, so quite a small enclosure compared to the original Big Muff, ideal for crowded pedalboard purposes! But you can use it in a bigger enclosure, allowing a lot of mods. 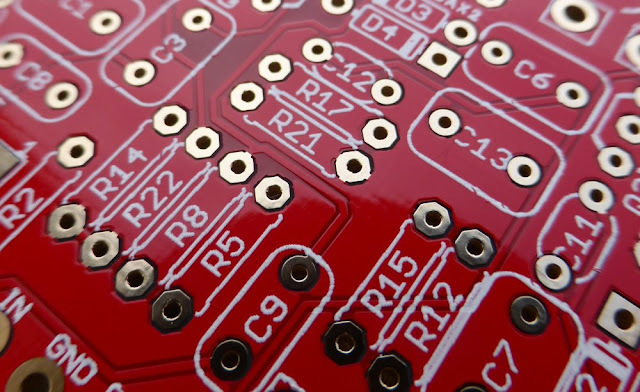 The quality is maximum with this PCB: it has been made using an immersion gold process that ensure easy soldering, and long lasting connexions. 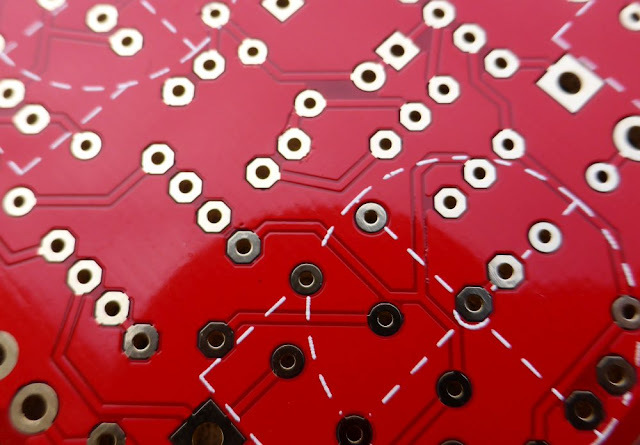 The PCB is lead free, so it can be used in any country (Europe does not allows lead in solder or electronic devices). Pads are quite spaced, and are big enough to allow easy soldering. I used he same components name than in The Big Muff page. This is very useful, you can just pick the version you like on the Big Muff page, and make it yourself quickly! It also makes mods easier to do, and you can relate quickly between the excellent circuit guide from the Big Muff page to the PCB. Here is a Ram's Head I made with the PCB. It is made wit a "replica" spirit: I used the exact same values as a 73' ram's head. I always wanted to know exactly what it sounded like, so this was a good time to try it! This pedal was made to test the "optionality" of the mid knob, really easy to do. I used my "Dolmen Fuzz" logo, made by HPM laser. I used a standard 1590B Hammond enclosure, that I polished with sand paper like my other Big Muff. I also tested the compatibility of the PCB with Wima MKP2, which are really good capacitor for audio. Works well and gives a niche red touch to the circuit! With my PCB and the detailed build doc I have written, you should be able to make your own Big Muff easily! Happy new year 2015: Coda Effects in numbers!